Having debt on our way to Financial Independence feels like starting a baseball game already down 5 runs. The good news is we have the ability to come back from our deficit and achieve victory. We just have to understand a few methods of debt repayment and use them to our advantage. 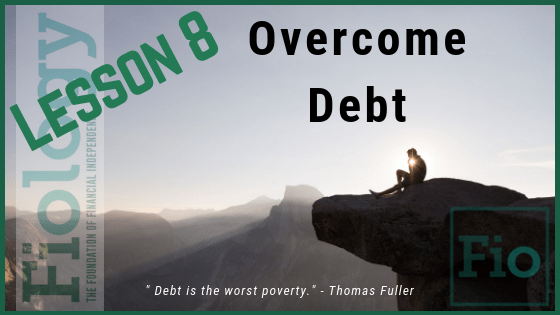 Overcoming debt allows us to accelerate our savings rate towards achieving Financial Independence. And it feels great knowing that once you are debt free, the money you are now making belongs to you and your future. This lesson educates and inspires us to take action now.